It can be quite warm or cold in March being a transition from summer to autumn in Perth. One day it is 30+ degrees, next day it drops down to 20. How crazy is that? 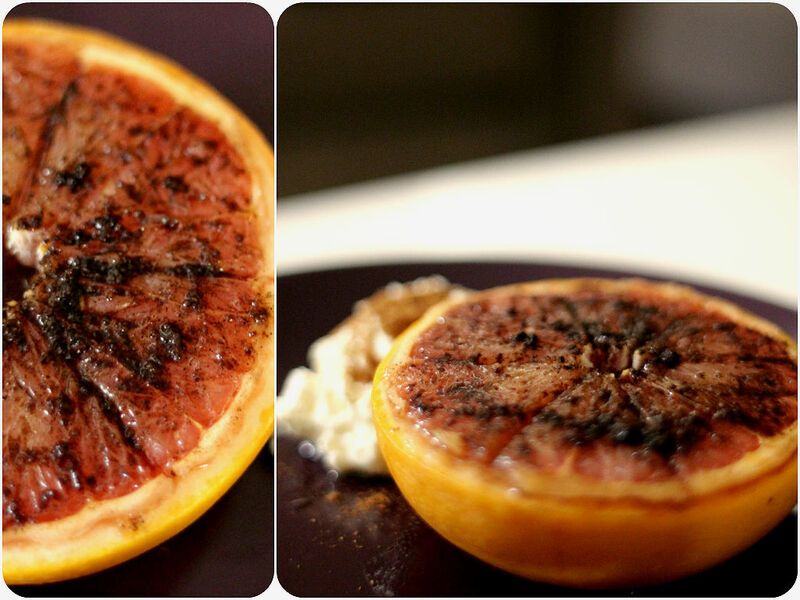 I took advantage of the cool morning making these broiled grapefruit beauties for a snack. I never made or tasted it before, so was curious about how it would turn out. It is simple to make though I was so impressed with its bittersweet flavour and radiant pink colour. Perfect brunch or snack for chilly weather when it’s served warm with a bit of cheese or yogurt. Highly recommended! Wash the grapefruit and cut it in half. Cut around the outside of the grapefruit to loosen them. Drizzle maple syrup. Broil for about 3-5 minutes until caramelised on top (don’t burn!). Serve warm with cottage cheese and sprinkle of cinnamon and vanilla. Other serving options? with yogurt, granola, breakfast muffin.